Here is the obligatory post for the Anime Series Section. The question is What Anime Series are you currently into? I am currently watching My Hero Academia, My First Girlfriend is a Gal, High School DXD, RE-Zero: life in another world, Cowboy Bebop(for the 12th time), Darling in the Franxx and Charlotte to name a few. Kill La Kill, Psycho-Pass, Full Metal Alchemist, Full Metal Alchemist: Brotherhood, Gurren Lagaan, Deadman Wonderland, Angel Beats, Samurai Champloo, Case Closed, Keninichi: The Mightiest Disciple, Ergo Proxy, Chobits, Ghost in the Shell and Paranoia Agent are pretty good anime series if you want to watch anime from the early 2000's to 2010's. But for now, I have been watching a bunch of the simudubs found on Funimation. Overlord, How Not to Summon a Demon Lord, Chio's School Road, My Hero Academia and Akiba's Trip. 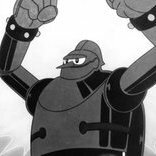 If you want some classic recommendations, I say you should watch Gigantor, Astro Boy, Akira, Speed Racer and Dragon Ball. I am currently watching Kill La Kill and Guren Laggan. I know I am behind the times but I Have a large list of anime to watch. I have heard of that series. I haven't seen it. Do you recommend it? I know the pain of having to wait. I have to wait for new episodes of Overload Season 3 and How not to Summon a demon lord.